What Happens When a Nursing Home Closes? 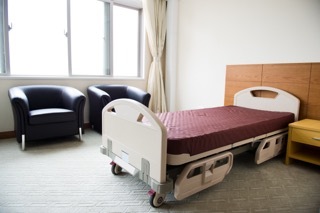 A nursing home closure can be traumatic for residents who are forced to move. While there may not be much that can be done to prevent a closure, residents do have some rights. Moving into a nursing home can be a stressful experience on its own. If that nursing home closes, residents can experience symptoms that include depression, agitation, and withdrawn behavior, according to The Consumer Voice, a long-term care consumer advocacy group. Nursing homes may close voluntarily because the owners decide to close up shop or involuntarily if the state or federal government shutters the facility for care or safety issues. Once a nursing home announces it is closing, it cannot admit any new patients. The nursing home must also provide orientation to residents to ensure a safe and orderly transfer. For more information from The Consumer Voice on what is required when a nursing home closes, click here. For the results of a study on reducing the negative impact of nursing home closures, click here.